In general, civil harassment is abuse, threats of abuse, stalking, sexual assault, or serious harassment by someone you have not dated and do NOT have a close relationship with, like a neighbor, a roommate, or a friend (that you have never dated). It is also civil harassment if the abuse is from a family member that is not included in the list under domestic violence. So, for example, if the abuse is from an uncle or aunt, a niece or nephew, or a cousin, it is considered civil harassment and NOT domestic violence. Read about the law in Code of Civil Procedure section 527.6. A civil harassment restraining order is a court order that helps protect people from violence, stalking, serious harassment, or threats of violence. You are scared or seriously annoyed or harassed. A close relative (parent, child, brother, sister, grandmother, grandfather, in-law). Other people you are not closely related to. IMPORTANT: If you are 65 or older or a dependent adult, you can file a civil harassment restraining order against someone you are not close to, BUT you can ALSO file an elder or dependent adult abuse restraining order, which may be better for you because you may be able to get more help before, during, and after the court case. Domestic violence restraining order (for protection from people you were involved with romantically at some point or close family members). Get more information on getting a domestic violence restraining order. Elder or dependent adult abuse restraining order (if the person being abused is 65 or older, or between 18 and 64 and a dependent adult). Get more information on getting an elder or dependent adult abuse restraining order. Workplace violence restraining order (filed by an employer to protect an employee from violence, stalking, or harassment by another person). Get more information on getting a workplace violence restraining order. If you are not sure what kind of restraining order you should get, talk to a lawyer. Click for help finding a lawyer. Also, your court’s family law facilitator or self-help center may be able to help you. And your local legal services offices may also be able to help you or refer you to someone who can. If you think you have a civil harassment case but would like information about trying to resolve it out of court, click to watch the video Resolving Your Civil Harassment Case in the California Courts (also available in Spanish). An EPO is a type of restraining order that only law enforcement can ask for by calling a judge. Judges are available to issue EPOs 24 hours a day. So a police officer that answers a call because of serious violence or a serious threat can ask a judge for an emergency protective order at any time of the day or night. For civil harassment cases, EPOs are only available in cases of stalking. If you are being stalked, you can call the police and ask for an EPO. The emergency protective order starts immediately and can last up to 7 days. The judge can order the abusive person to leave the home (if they live with you) and stay away from you for up to a week. That gives you enough time to go to court to file for a temporary restraining order. To get a more permanent order, you first must ask the court for a temporary restraining order (also called a “TRO”). When you go to court to ask for a civil harassment restraining order, you fill out paperwork where you tell the judge everything that has happened and why you need a restraining order. If the judge believes you need protection, he or she will give you a temporary restraining order. Temporary restraining orders usually last about 20 to 25 days, until the court hearing date. Sometimes, when there is an incident of violence or severe harassment (or series of incidents), the district attorney will file criminal charges against the person committing the violence. This starts a criminal court case going. It is common for the criminal court to issue a criminal protective order against the defendant (the person who is committing the violence and abuse) that is effective while the criminal case is going on, and, if the defendant is found guilty or pleads guilty, for 3 years after the case is over. 1. The person wanting protection files court forms asking for the civil harassment restraining order. 2. The judge will decide whether or not to make the order by the next business day. Sometimes the judge decides sooner. Then, the clerk will set a date for a hearing. 5. Both sides go to the court hearing. 6. At the hearing, the judge will decide to continue or cancel the temporary restraining order. If the judge decides to extend the temporary order, the “permanent” order may last for up to 5 years. Read Ask for a Restraining Order for detailed instructions on how to ask for a civil harassment restraining order. Read Respond to a Restraining Order for detailed instructions on how to answer a request for a civil harassment restraining order. You do not need a lawyer to ask for (or respond to) a restraining order. BUT it is a good idea to have a lawyer. Click for help finding a lawyer. If you would like information about trying to resolve your civil harassment dispute out of court, click to watch the video Resolving Your Civil Harassment Case in the California Courts (also available in Spanish). Your city or county may have legal aid agencies that help people ask for civil harassment restraining orders, but it usually depends on the type of abuse or harassment. For example, if you have been sexually assaulted, you may be able to get help from legal aid or a domestic violence agency. Sometimes, these agencies will also help with stalking cases. And they may help in other situations. It is hard to know whether you will qualify for help without knowing the specific situation you are in. So if you need a civil harassment restraining order, no matter why, first try to get help from your local legal aid agency. If they cannot help you, they may be able to send you to someone who can. 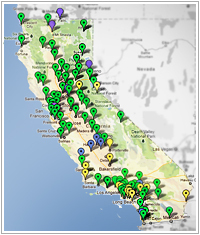 Click for help finding a legal aid agency in your area. Your court’s self-help center may also be able to help you with the civil harassment restraining order or refer you to someone who can. It is more difficult to find free or low-cost legal help if you are responding to a request for a civil harassment restraining order. But you should still try since legal aid agencies have different guidelines, and your local bar association may have a volunteer lawyer program that can help you. Click for help finding a lawyer. Your court’s self-help center may also be able to help you respond to the restraining order or refer you to someone who can. The website also provides a lot of information to help you get protection. This video series provides information about the options for resolving civil harassment disputes. For more information and to view in other languages, please visit our page for these videos.